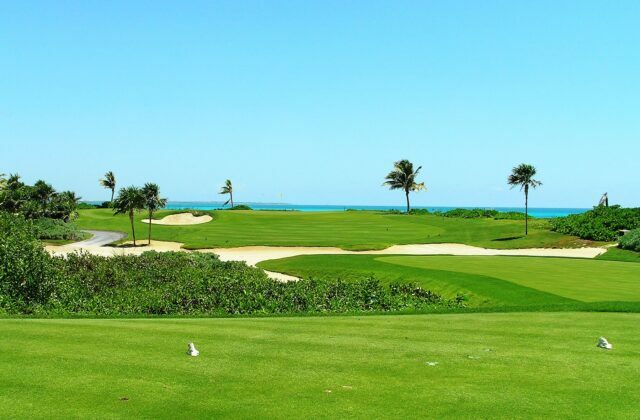 El Camaleon Golf Course is one part jungle, one part mangrove forest, and one part Caribbean Sea. This 7,100-yard ecological trilogy is a once in a lifetime golf thriller comprised of landscape freaks of nature, exotic people-friendly wildlife, and oceanfront vistas that are worthy of the Louvre. Golf legend Greg Norman shattered a myth when he carved a golf course from the deepest part of the Playa Del Carmen jungle. That is, he left no doubt that one can go green and still create a world-class golf experience. What is a cenote? This uniquely Yucatan gaping cavern is an underground limestone shell hovering atop a running stream. 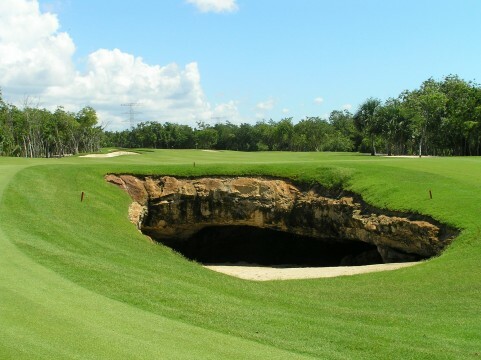 During the construction of El Camaleon, this particular cenote was discovered beneath the ground of what was to become the first hole fairway. One choice would have been to blanket the cenote with the most beautiful green tones of paspalum fairway grass you have ever seen. But Greg Norman’s design mantra is one of least disturbance. Norman decided to preserve the cenote a course and make it a course feature that golfers won’t find anywhere else on the planet. Score one for the Shark. 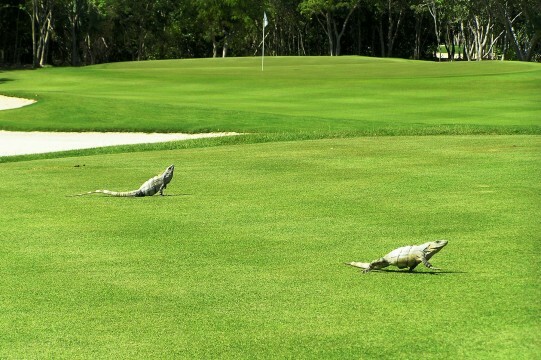 The second hole, a 142-yard, Par 3, includes a skittishly friendly family of iguanas near the second green. Directly behind the green, and near the third tee box, is another cenote. Are you getting the picture here? At El Camaleon, golfers are like real life characters in a National Geographic documentary. Your personal fact is stranger than fiction account of 18 holes will have friends back home wondering if, before the round, you sampled the tequila bar offerings at the nearby Fairmont Mayakoba Hotel. When trying to describe the feel of El Camaleon’s front nine, check your Mexican translation guide for the words “jungle” and “serenity.” Beyond the abundant bird life, iguanas, and occasional meercat, what is notable is the quiet of the surroundings. Silence is golden in this mutual admiration society featuring you, the wildlife, and this awesome natural setting. The blissful tranquility of the opening holes eventually gives way to a symphony of chirping frogs. This cheerful chorus is a golfer’s first clue that he or she is entering the mangrove portion of El Camaleon. Beginning on the eighth hole, golfers are flanked by thick clusters of mangrove trees standing shoulder to shoulder on both sides of the fairway. 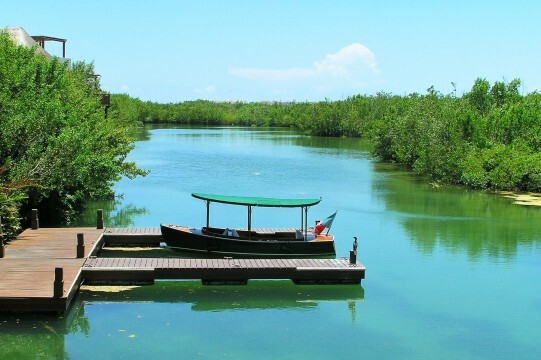 The commitment to the mangrove by El Camaleon and the Fairmont Mayakoba is significant. Prior to construction, environmental experts stressed that replenishment of the mangroves was non negotiable. In Playa Del Carmen, the trees are an integral link between land and sea. The mangroves not only serve as a buffer during hurricane season, but their impact on the overall eco-system is essential. This is especially true for the area’s pristine coral reef, one that is the second largest in the world. Today, the benefits of the decision to preserve the mangrove are evident in a golf environment that is thriving with life. The course’s mangrove and palm trees bow to the ocean on the show-stopping 15th hole. In shades of ultra blue, the Caribbean Sea frames the putting green on this 144-yard, Par 3. Upon completing your round, the 15th is where you’ll recall the course living up to its heritage. Like the reptile it’s named after, El Camaleon is a course of many colors. Just when you thought El Camaleon had finally outdone itself, golfers encounter the 17th hole. At first glance, the 386-yard, Par 4, is rather unassuming when you consider what’s led up to it. But then, to the left of the tee box, you notice a small electric boat channeling quietly along a canal. This vision of a gondolier navigating a boat with a thatched roof seems like a scene out of Humphrey Bogart’s African Queen. 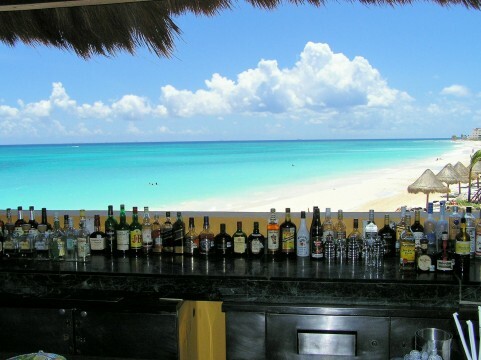 Perhaps the perfect capper to your round at El Camaleon is to head over to the Las Brisas Terrace bar at the neighboring Fairmont Mayakoba. Following a round of golf that left your senses on overdrive, you can’t help but appreciate the gorgeous elevated view of this quaint outdoor bar. Tim Cotroneo is a freelance writer from St. Paul, MN, with a passion for golf and a future Caribbean zip code.